Who is Phillip Barnett Greenberg? Barnett is a native of Florence, South Carolina. His family on the Greenberg side has been involved with investing and developing real estate in the Pee Dee area of South Carolina since his great-grandfather, who was an immigrant and entrepreneur in the scrap metal and fur businesses, began investing. Barnett has been an active full-time Realtor(R) /Broker Associate since 2007. He began his real estate career in the Charleston South Carolina area right before the Great Recession hit. Surviving through the Great Recession, Barnett worked hard to help all those he could. He was affiliated with several real estate brokerages before deciding to start his own real estate brokerage firm Greenberg Real Estate, LLC in Florence South Carolina at the end of 2015. Phillip Barnett Greenberg is licensed as a Real Estate Broker in Charge by the Real Estate Commission in the State of South Carolina (his license number is 68653). 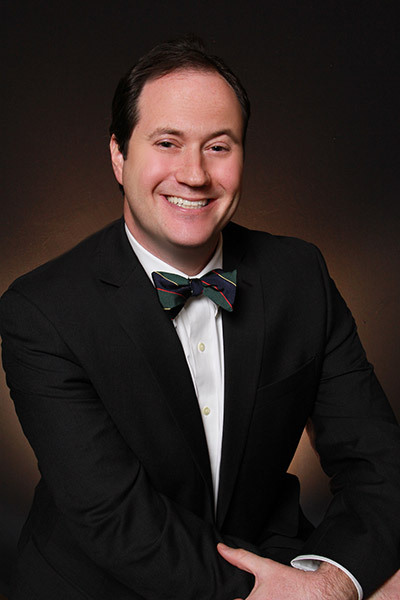 Phillip Barnett Greenberg is the Broker in Charge and sole REALTOR(R) with Greenberg Real Estate, LLC. Barnett is happily involved in community service and gives back to the community in various ways. When you hire Barnett you hire the broker in charge to provide customized professional help for you with your real estate needs. His goal is to deliver the most outstanding and personalized service to each individual client. What is Barnett’s educational background? In Florence South Carolina Barnett attended Royall Elementary School, Moore Middle School, and West Florence High School for his freshman year. He continued and completed his high school studies at Woodberry Forest School which is an all boys boarding school in Woodberry Forest, Virginia. Barnett is an honors graduate–with a B.A. in English from the University of North Carolina in Chapel Hill. He earned his Juris Doctor degree from the University of South Carolina School of Law. Barnett decided to help people with real estate by working full time as a REALTOR(R), and Barnett never practiced law. Barnett has seen himself as an entrepreneur since the days of his youth when his brother and he would go around their neighborhood asking neighbors if they could shine shoes and being creative and trying to sell various things. Business and real estate is very much in Barnett’s blood. Barnett is talented in finding people what they want and helping them obtain what they want. He is also skilled at marketing property, excellent at real estate communications, and negotiating. He pays close attention to details. In order to stay abreast of the latest real estate trends and to deliver the highest service to his clients, Barnett increases his real estate education through continuing education and learning. Barnett holds designations as an Accredited Buyer’s Representative (ABR) and GREEN agent by the National Association of Realtors. He is certified as a Short Sales and Foreclosure Resource (SFR) agent. Barnett is a CCIM Candidate and is currently working towards the Certified Commercial Investment Member (CCIM) designation. Barnett has successfully completed the CCIM Introduction Class, CCIM 101 and CCIM 102. Barnett is a member of the National Association of Realtors(R), the South Carolina Association of Realtors(R), Charleston Trident Association of Realtors(R) and the Pee Dee Realtor(R) Association. Barnett is a homeowner and believes in the positive things about homeownership. Also, he believes that investment real estate can be a good investment depending on various factors and someone’s criteria and goals. Barnett has invested in real estate through LLCs. Barnett earned his Eagle Scout rank with Troop 477 in Florence. Barnett is a member of the Kiwanis Club of Florence, The Rotary Club of Florence, and Beth Israel Congregation. Greenberg Real Estate, LLC is a member of the Florence South Carolina Chamber of Commerce, and Barnett volunteers as an ambassador for the Chamber of Commerce. Barnett serves as the Treasurer of the Pee Dee Realtor(R) Association. Also, Barnett serves as a member of the board of the Florence County Disabilities and Special Needs Board. In his spare time, Barnett loves to take long walks with his wife, Heather, play with his son Phillip and daughter Loryea, pluck the bass guitar, collect comic books and baseball cards, read, and spend quality time with his family and friends.